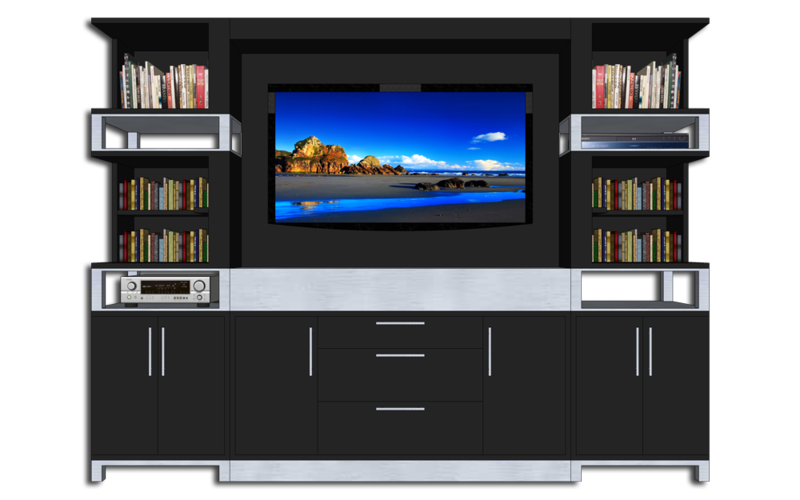 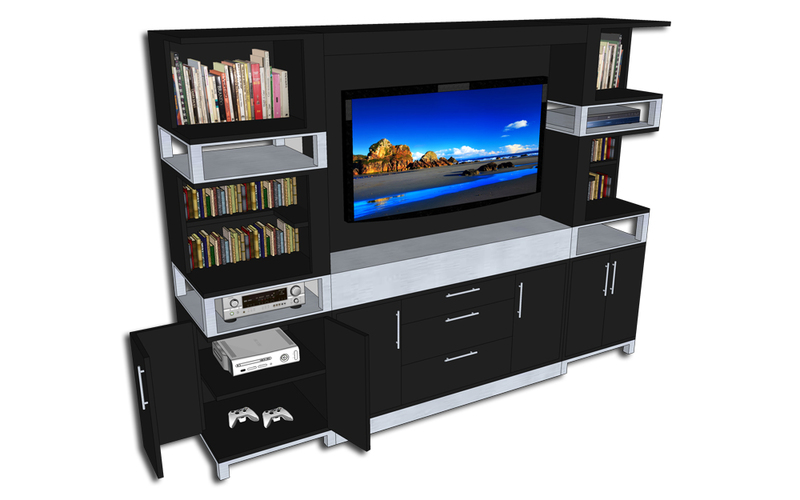 A modular designed cabinetry concept that incorporates a television and audio visual equipment into a multimedia center that serves as a contemporary library. 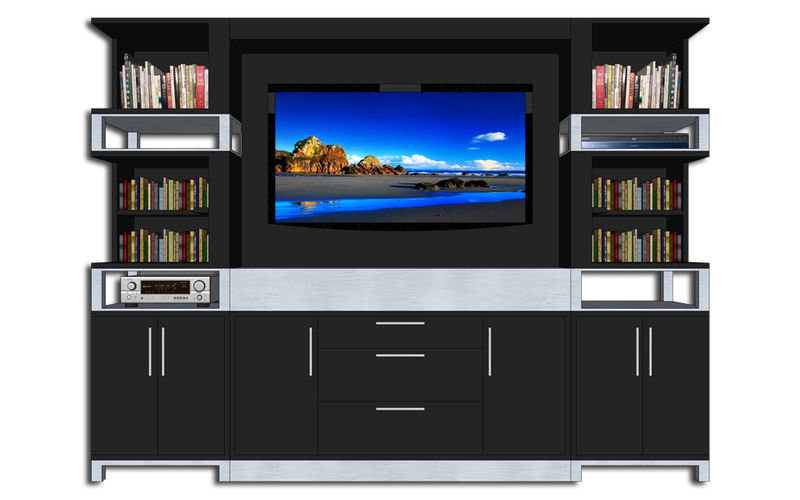 Showcase your books while stylishly displaying your audio visual equipment. 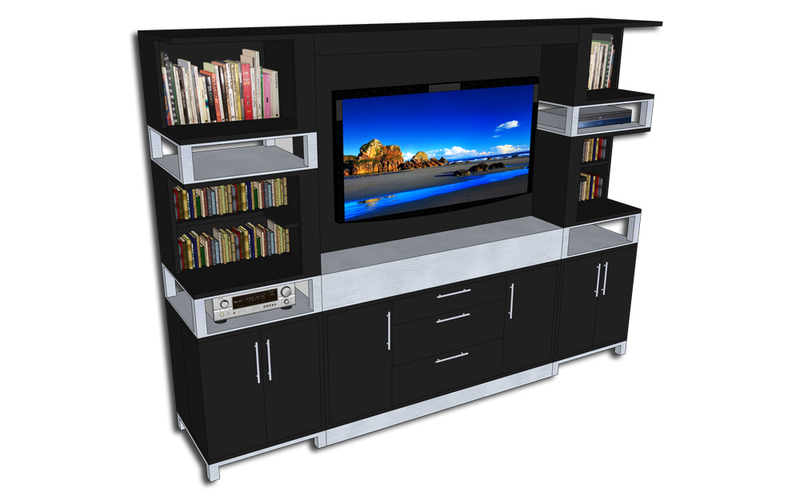 There is also plenty of cabinets and drawers for that always needed extra storage space. 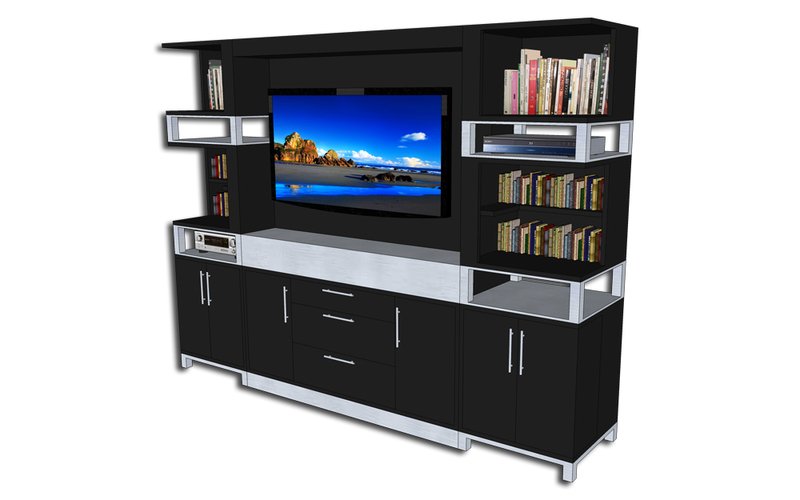 This specially designed multimedia center makes any room the perfect place to live, lounge, relax, entertain, and reflect as well as get into a great book.